We have all enjoyed talking to Siri about things logical, mathematical, philosophical and what not. Siri’s digital assistance comes to us with a little of logic that is used to understand what is asked of her and what information needs to be processed. Using this logic, we can make even the oven, refrigerator and the shower talk to us and this is exactly what API.ai wants to do. API.ai is simple software that helps you integrate speech interface for your app, device or the web. Having processed millions of request on an everyday basis, API.ai comes as the complete solution that combines voice recognition with language understanding as well as text to speech software. When you use API.ai, it comes ready with support for 14 languages and knowledge base for multiple domains. The API learns by example and is extremely easy to use. SDKs for iOS, Android, Python and Unity and many more platforms are available and others will be added soon. 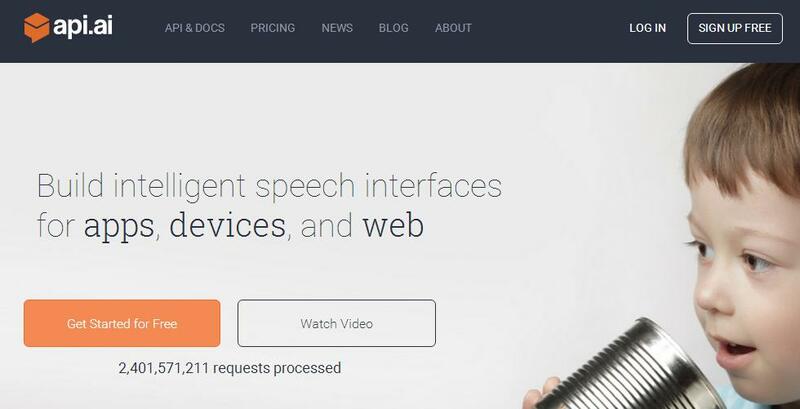 So, its whether your website, an app or even some wearable technology that you are using, you can use API.ai as your tool for speech interface add an extra level of coolness to your product.